When national criterium champion Rahsaan Bahati rolls up to the start line of the June 28 Manhattan Beach Grand Prix, he will do so once again as a professional cyclist. Bahati, a two-time winner and the defending champion at Manhattan Beach, signed a pro contract with Rock Racing, the team he has ridden with since 2007, he told VeloNews Friday. Bahati on the top of the U.S. professional criterium podium last year. When national criterium champion Rahsaan Bahati rolls up to the start line of the June 28 Manhattan Beach Grand Prix, he will do so once again as a professional cyclist. Bahati, a two-time winner and the defending champion at Manhattan Beach, signed a pro contract with Rock Racing, the team he has ridden with since 2007, he told VeloNews Friday. The winner of the national criterium championship last August, Bahati was one of several professionals bumped to Rock’s amateur team during the off-season as the squad’s line-up overflowed in the face of UCI developmental rules, while financial difficulties prevented the team from fulfilling contracts. 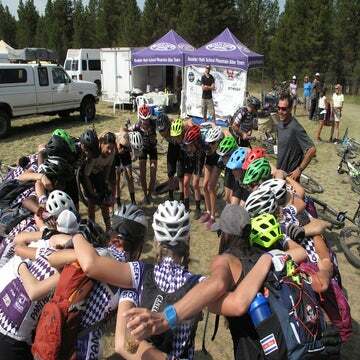 All riders downgraded to amateur status were not allowed to compete at UCI-sanctioned events, or national championships, as they were not members of a USA Cycling-registered professional team. Those riders could still compete at USA Cycling-sanctioned pro/am events, such as races on USA Cycling’s National Racing Calendar. Racing as an amateur, the Carson, California-based Bahati — he lives two miles away from the Home Depot Center Velodrome — has won several races this year, including the Dana Point Grand Prix and the Merco Credit Union Cycling Classic Criterium. 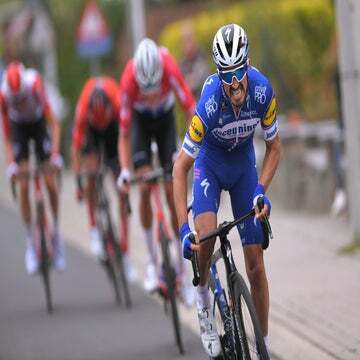 And even though he still received a paycheck as an amateur, criterium results aren’t what he was looking for from his 2009 season. “I was making the same salary, that never changed from when I was a pro,” Bahati said. “The main reason it was disappointing to be moved to the amateur team is because I’ve expressed that I want to race full-on for the next five or six years, and I’m only getting older and older. I’m trying to make it to a bigger stage. I wanted to go to Europe (with Rock Racing’s “A” squad). That opportunity was taken away from me. Two other former professionals relegated to Rock’s amateur team and later fired, Chris Baldwin and Mike Creed, went on to sign contracts with pro teams; Baldwin with OUCH-Maxxis and Creed with Team Type 1. Bahati admitted that his relationship with Rock team owner, fashion designer Michael Ball, has been somewhat contentious over the years. Ball famously told Bahati he needed to deliver wins or face unemployment in 2007 and Bahati has been openly critical of his amateur status. But Bahati said that that since the two came together in late 2006, when he helped Ball launch the team, their relationship has grown to leave room for bilateral criticism. Rock Racing found itself with a hole in its roster with the retirement of suspended rider Tyler Hamilton, however Bahati said it was the return of Cuban-American sprinter Ivan Dominguez, from Fuji-Servetto, that opened the door for him to finally land a pro contract. With the addition of Dominguez, a teammate at Saturn in 2003, Bahati said he realizes he may no longer be the team’s top sprinter, opening the door for the possibility that his own teammate could deprive him of a third consecutive win at Manhattan Beach. Beyond Manhattan Beach, Bahati said he hopes to defend his national title at Downers Grove, and to show what he can do against the world’s best sprinter, Mark Cavendish, at September’s Tour of Missouri. 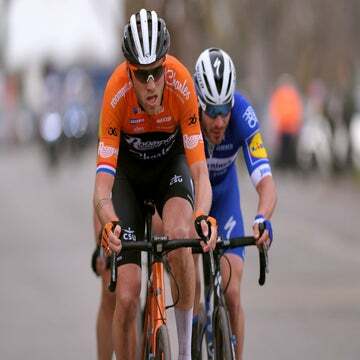 Though there’s been no definitive announcement that Cavendish will race in Missouri this year, the Manxman won three stages last year, and the Columbia sportswear company announced Tuesday that it had signed on as the official sportswear sponsor for the race. With more time on his hands earlier this year, and to help supplement an income previously largely garnished from prize money, Bahati — a father of three — made the decision to host a July 16-19 training camp in Aliso Viejo, California. Bahati said that even with his change in status, he still intends to host the camp; by then, however, he should once again also be receiving a paycheck — as a professional.